This custom-designed 3,209-sf home at 38 Colonel Hazzard Road looks out over the 4th fairway of the golf course to a preserve that can never be developed. Not only is the community home to the first Greg Norman golf course in the Lowcountry, but Oldfield is also set apart by the recreation offered on the Okatie River. In addition, traditional Lowcountry architecture and a sincere dedication to Southern hospitality and service create a warm inviting atmosphere. Oldfield’s comprehensive trail system winds throughout the property, affording a great opportunity to experience nature while walking, running or biking. Oldfield’s Equestrian Center is a top-notch boarding and horse care facility. It provides members and guests with the opportunity to enjoy equestrian activities by providing lessons, trail rides, pony rides, camps and other equestrian activities in a safe environment. In addition, there are a variety of summer equestrian camps for young riders from 4 to 7 and eight and up. Send me more about this home in Oldfield! This is proposed new construction on one of only two remaining homesites situated at 9 Meadowhawk Road directly across from Lake Arrowhead and Arrowhead Pavillion at Oldfield. 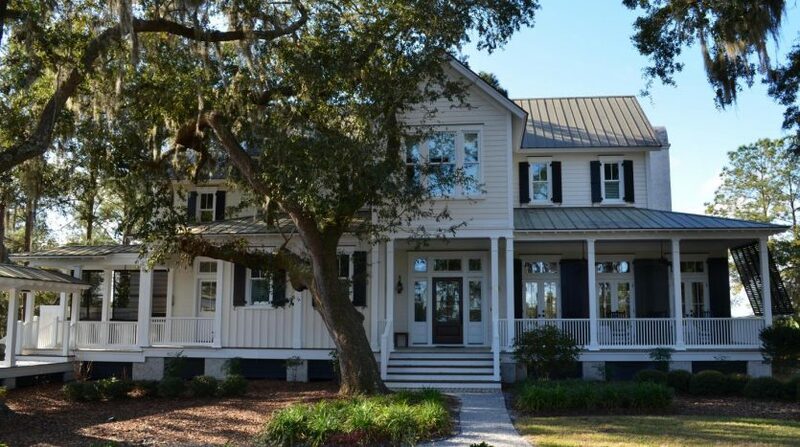 This Lowcountry-style home at 1 Grain Bin Court features a rocking-chair front porch and light-filled interior spaces throughout. Oldfield is truly unique in the area, its residents are quick to point out. Not only is the community home to the first Greg Norman golf course in the Lowcountry, but Oldfield is also set apart by the recreation offered on the Okatie River. In addition, traditional Lowcountry architecture and a sincere dedication to Southern hospitality and service create a warm inviting atmosphere. Oldfield offers the first and only Greg Norman golf course in the Lowcountry. The course winds across broad savannas of broomgrass and palmetto up to the expansive marshes of the Okatie River. With five sets of tees, Oldfield is highly playable as well as scenic for all skill levels. Send me more about this home in Oldfield! 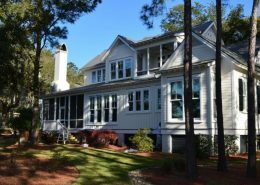 Oldfield, Okatie SC extends an invitation to experience the community on its Oldfield Discovery Package, which includes double-occupancy accommodations in a River Cottage or Carriage Home, lunch for two at Magnolia Grille or diner at the River Club. Activities include one round of golf for two, a river cruise for two with the Oldfield River Pro, free access to the Sports Club, Equestrian Center and Outfitter’s Center plus use of kayaks and bicycles. There will be a VIP community tour with a realtor. Cost is $199/night. Send me more information about Oldfield!